kidSPARK allows youth of all ages create their own artwork, inspired by all of the creativity happening throughout the festival! 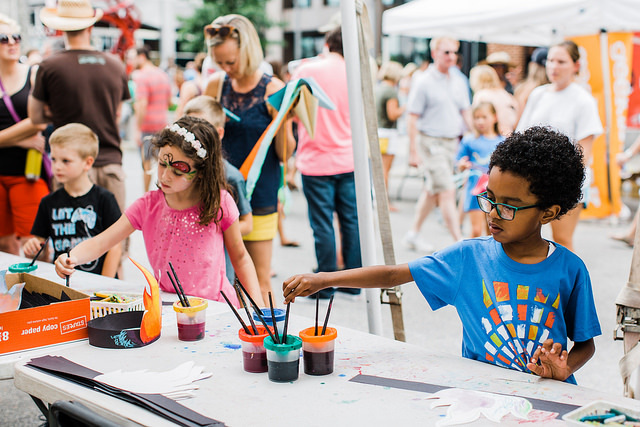 This partnership with Arts Together allows young attendees to take all of the excitement, creativity, and fun of SPARKcon and use it as inspiration to make their own piece of artwork that they can take with them. These activities allow kids to see themselves as part of SPARKcon and allows them to leave with something that will remind them of the experience. Find the artSPARK tents on Fayetteville street just off of City Plaza. kidsSPARK is brought to you by Form & Function and Arts Together! This year's kidSPARK schedule is coming soon!